In recent years, both Chicago and The Doobie Brothers have been trying to maintain some semblance of relevancy. Regardless, it is difficult to view their joint appearances at Charter One Pavilion on July 16 and 17 as anything more than a show built upon nostalgia. 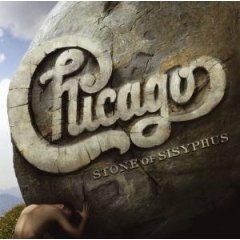 After all, fans are not planning to attend the concert to hear selections from Chicago’s Stone of Sisyphus, an outing that had been shelved for more than a decade before it formally was unveiled in 2008, or the Doobie Brothers’ decade-old foray Sibling Rivalry. Instead, nearly everyone in the audience will be hoping that the bands will dig into their bags of tricks in order to pull out a heaping dose of classic-rock gems from the past. Chicago’s canon has yielded hits such as 25 or 6 to 4, Saturday in the Park, and Feelin’ Stronger Every Day; while The Doobie Brothers’ repertoire has produced popular selections like China Grove, Listen to the Music, and Black Water. Fortunately, Chicago and The Doobie Brothers aim to please their followers. As a result, this ought to be a satisfying evening of retro-minded rock. The response to Cracked Rear View was so enormous that Hootie and the Blowfish really had nowhere to go but down. Sure enough, although the outfit largely remained faithful to the formula it had established with its debut, the public’s interest in the band slowly began to fade away. It was only a matter of time, then, before front man Darius Rucker would step out on his own. His solo debut Back to Then was a misguided attempt to recast himself as an R&B artist. Nevertheless, after Hootie and the Blowfish failed to rebuild its momentum with the lackluster 2005 set Looking for Lucky, Rucker’s sophomore outing became a bonafide success. Learn to Live adhered to the roots-oriented aspects of Hootie and the Blowfish’s canon, and this familiarity allowed it to climb to the top of Billboard’s country charts. Like Rucker, Brad Paisley turns on the charm while wrapping his Americana fare in elements drawn from the realms of rock and pop. Leavened by his sense of humor, Paisley’s latest outing American Saturday Night explores the various aspects of love and heartache. Sometimes promoters force performers together without much thought, but Rucker and Paisley were made for each other. They will be at the First Midwest Bank Amphitheatre in Tinley Park on July 16. After his frustrations with the music industry came to a head on The Last DJ, Tom Petty appeared to be on the verge of retirement. In many ways, his 2006 set Highway Companion could have been his final farewell. The passage of time, however, gave Petty some perspective on the matter. With this in mind, his latest set Mojo could be viewed as the dawning of a new stage in his career. Southern rock and blues have always played a role within Petty’s work, but Mojo brings these genres to the forefront of his compositional style. It makes sense, then, that Petty would spend at least part of his summer tour with Drive-By Truckers. In recent years, the latter outfit has almost single-handedly revived the legacy of Southern rock. On its latest endeavor The Big To-Do, Drive-By Truckers takes aim at the painful recession that resulted from rampant corporate greed. Appearing together at Chicago’s United Center on July 17, neither Tom Petty nor Drive-By Truckers will shy away from difficult subjects, but the music will serve primarily as a salve for the downtrodden masses. Founded in 1997 by songwriter Sarah McLachlan, the Lilith Fair quickly became one of the most successful tours of the year. After its sojourn in 1999, however, the traveling entourage was crowded out of the marketplace by an oversupply of prepackaged programs. Although there remains an abundance of festivals held every summer, most of them — from Bonnaroo to Lollapalooza — are stationary events, held over a single weekend in one city. Given the current state of the economy, promoters are trying to do everything in their power to lure potential customers to the box office. Consequently, the re-emergence of a show like Lilith Fair makes perfect sense. Nevertheless, ticket sales have been surprisingly sluggish, though the exorbitant prices, at least for seats close to the stage, surely haven’t helped. McLachlan along with Mary J. Blige, and Kelly Clarkson will anchor the rendition of Lilith Fair that stops at the First Midwest Bank Amphitheatre in Tinley Park on July 17. Heart, Cat Power, and Kate Nash are also on the bill.